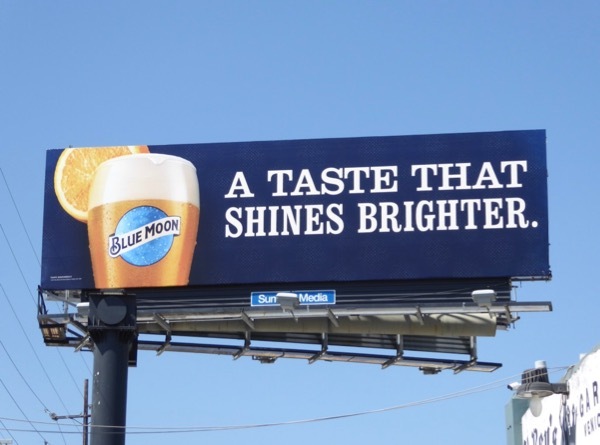 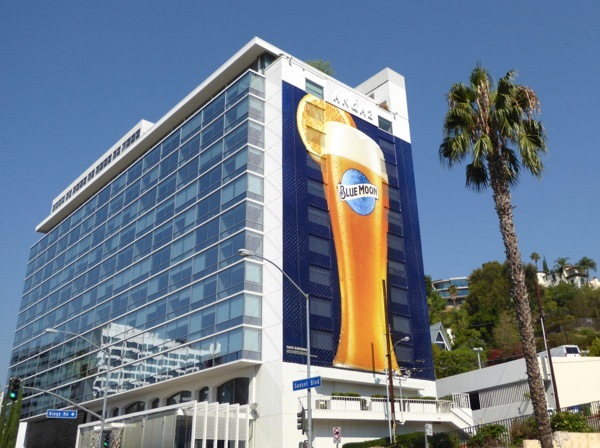 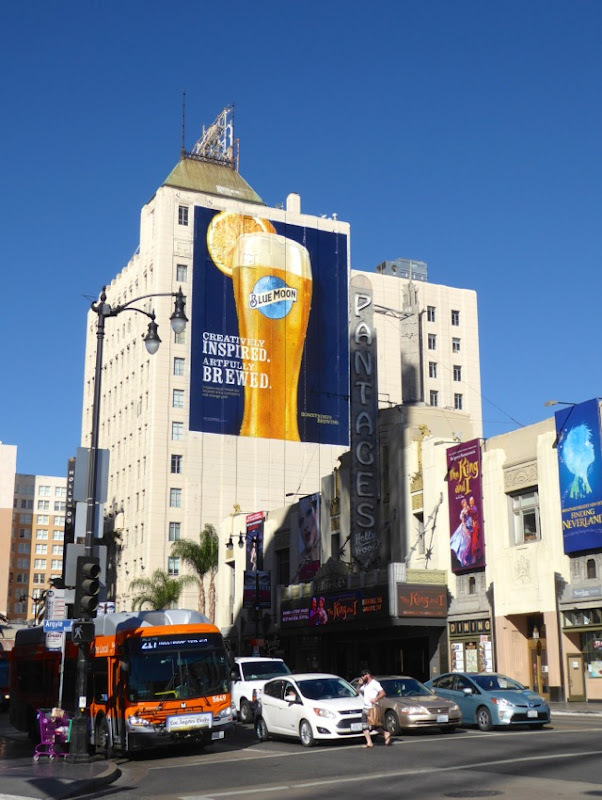 'Tis the season to be merry, and what better way to toast the holidays than with a tall frosty beer to help celebrate Sunday Funday, courtesy of these impressive Blue Moon billboards. 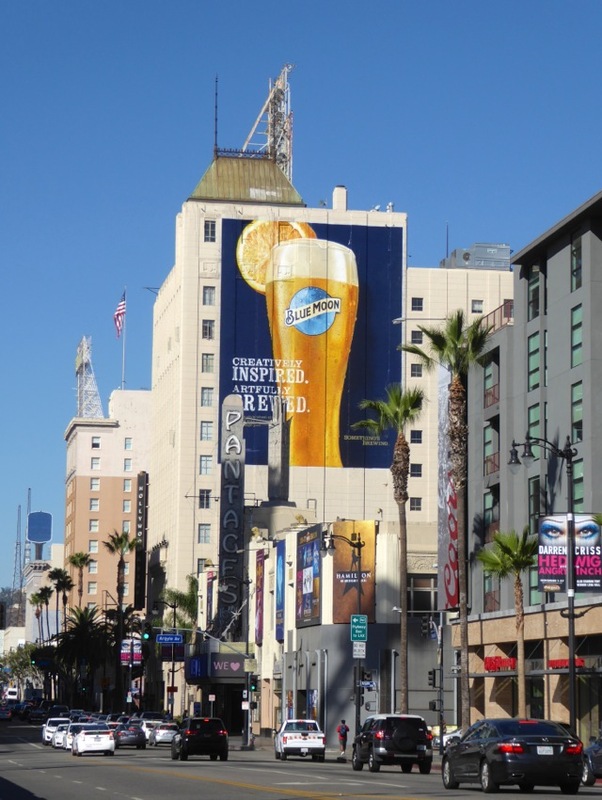 It's been hard to miss all these giant billboards and other ads for the beer with its signature orange slice that made the brew famous. 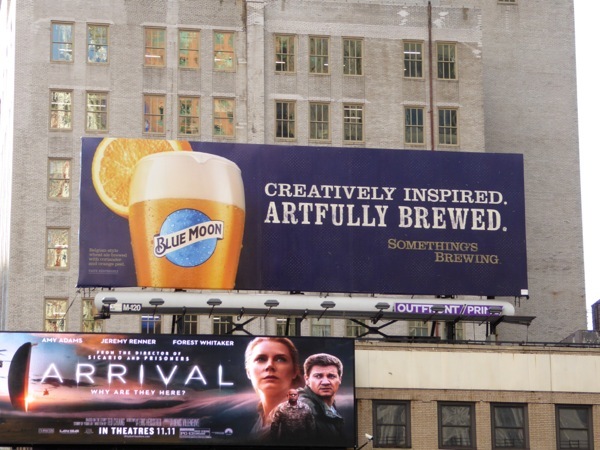 Yes, with the rise in popularity of other artsy craft beers in recent years, it's hard to miss the fact that 'Something's brewing' in the city skyline of late for Blue Moon to help counter its competitors. 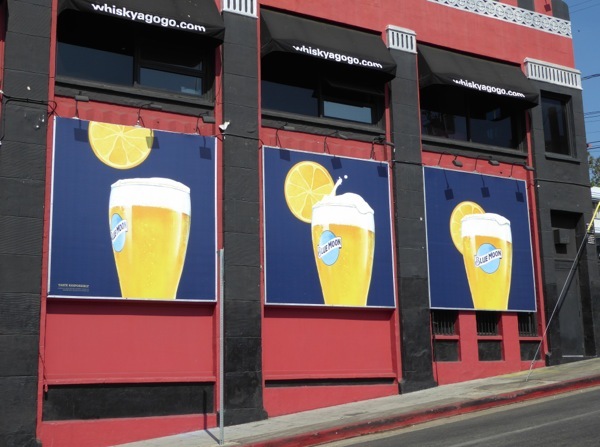 The landscape billboards in all their various formats were first spotted along Highland Avenue on June 6, the trio of ads with the flying orange slice was snapped on the side of the Sunset Strip's infamous Whisky A Go-Go club on August 11, whilst the standard landscape billboard was spied in the skies near Times Square in New York City on November 11, 2016. 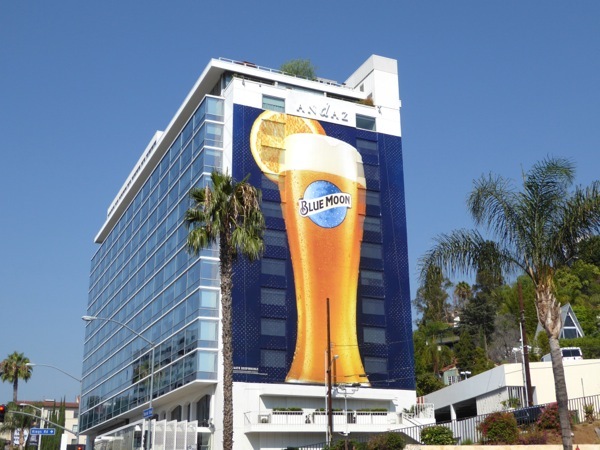 Meanwhile the super-sized billboards were photographed on the side of West Hollywood's Andaz Hotel along the Sunset Strip on August 24 and the other hand-painted giant wallscape was captured towering over Hollywood & Vine on October 21, 2016. 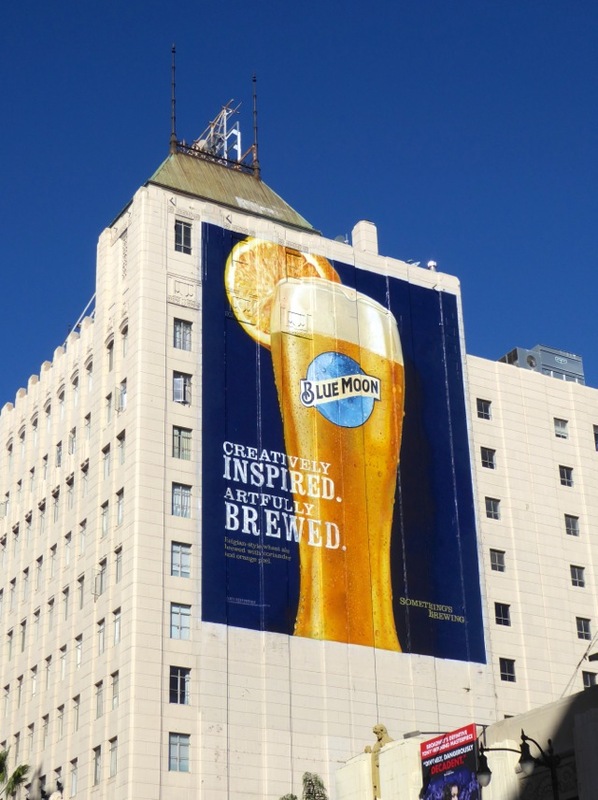 If you like these bold ad creatives, you can also take a look at Blue Moon's previous artfully crafted billboards from recent years. 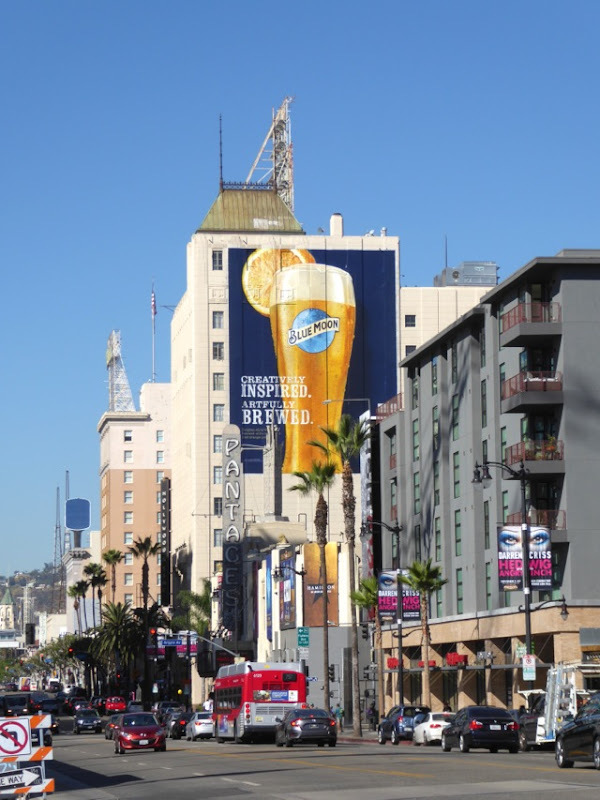 Beer fans can also check out these other outdoor advertising campaigns for your favourite brews, including these Estrella Jalisco billboards, these Heineken billboards, these Stella Artois billboards and many other beer brands besides. 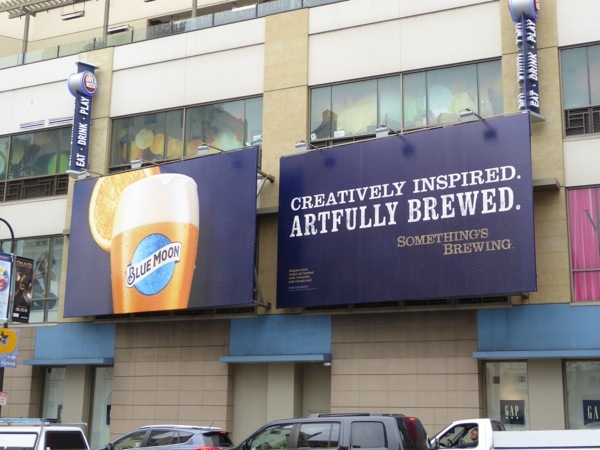 Now drink up, this beer has been artfully brewed for your pleasure, so it'd be rude not to indulge yourself (responsibly of course) this weekend. 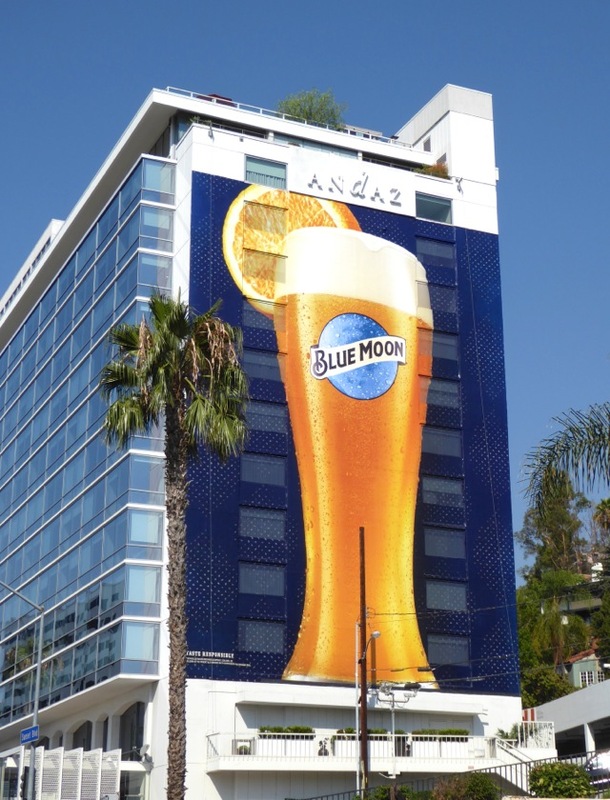 UPDATED: Here's also the most recent ad creative for Blue Moon, snapped above Venice Boulevard on August 8, 2017.